“Love”. What does that word truly mean? Fondness? Desire? Sympathy? Those are certainly all aspects of love, but they cannot explain the full power of this emotion. 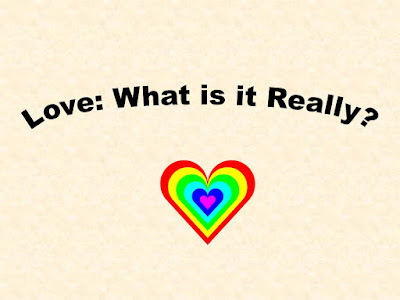 I’ve been writing about love in my last few articles—particularly about receiving and sharing God’s unconditional love (agape). My last article was about choosing empathy over judgment. This was something Jesus did all the time. I feel the Savior’s love in all the world around me. His Spirit warms my soul through everything I see. I feel my Savior’s love; its gentleness enfolds me. And when I kneel to pray, my heart is filled with peace. I feel my Savior’s love and know that he will bless me. I offer him my heart; my shepherd he will be. He knows I will follow him, give all my life to him. I feel the Savior’s love, the love he freely gives me. I’m trying to serve my friends. Often, the simplest truths are the most profound. God is unconditional love. This love is manifest in feelings of warmth, gentleness, humility, and peace. In return, we are expected to pass on this love to others in the form of loving, kind deeds and thoughts. Are you passing on the love?